We recently added a gable portico / overhang at our front door as part of a renovation. We used the same architectural shingles as the rest of the roof to make it seamless. However when the guys did join at the ridge of the new overhang they had to put 3 exposed nails. I know that typically exposed nails are a big "no no", so I wanted to see if in your experience these nails are okay once they are covered with some roofing cement. We have similar nails on the main ridge end, but obviously at the end and not sort of in the middle. Note that the area beneath these nails will technically be on the outside. Water leaks are obviously the one concern because no one will be looking at the roof from the angle where they are visible (except our neighbors!). Are these worth redoing or left as they are with some roofing cement applied? Exposed nails not only look bad but the heads will deteriorate faster being exposed on the occasion I have a shinier I will cover it with a small amount of roof patch.i use an asphalt based patch and collect some of the sand from a bundle then it is hard to see Even if you know it's there. How to determine source of this roof leak? What are the advantages and disadvantages of elastomeric coatings versus shingles? 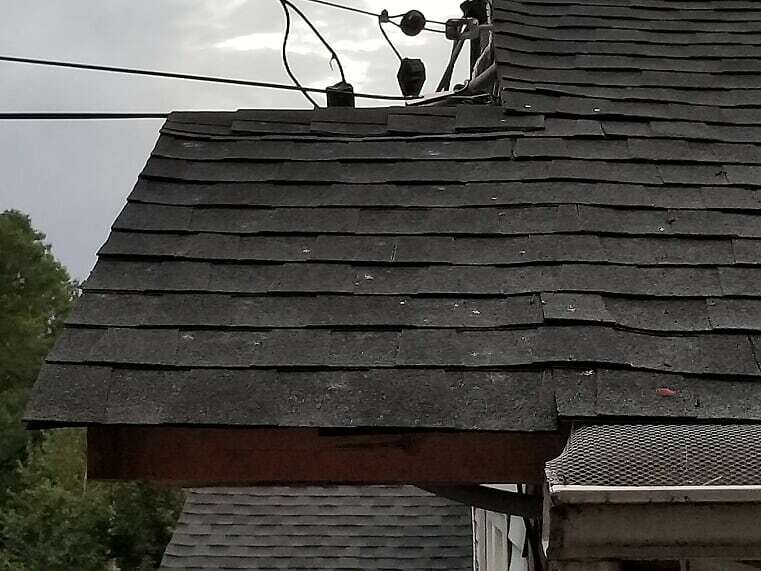 Should this roof be fixed now (shingles)?